The Department of Radiation Oncology is in the new Perelman Center. Occupying approximately 80,000 square feet on the Concourse Level, the new treatment facilities includes the most advanced proton and conventional radiation treatment modalities available as well as public spaces designed for the highest levels of patient comfort. Penn Radiation Oncology is one of the most comprehensive radiation oncology programs in the world. The outstanding faculty and staff, combined with Penn’s extensive collection of advanced technology, gives patients access to nearly every treatment option available for their cancer. The broad range of radiation treatments available include proton therapy, intensity-modulated radiation therapy (IMRT), high-dose rate (HDR) and low-dose rate brachytherapy, partial breast irradiation, stereotactic radiosurgery (SRS), and Gamma Knife radiation. 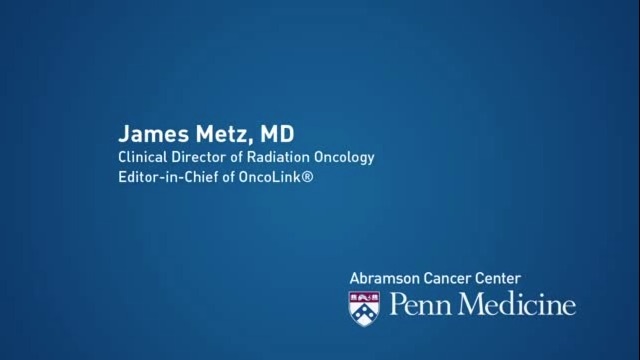 With the Abramson Cancer Center of the University of Pennsylvania, Penn Radiation Oncology provides patient care at the Ruth and Raymond Perelman Center for Advanced Medicine and seven community-based sites. The Master of Science in Medical Physics and Certificate in Medical Physics programs are excited to announce that we will accept a class for Fall semester of 2019. Just about everyone would rather be sitting on that dock than waiting in a doctor’s office. Now, thanks to virtual reality, it’s at least somewhat possible. Penn’s Radiation Oncology department has recently added this VR mindfulness experience to its waiting room in the Roberts Proton Therapy Center. Click here to read on.